Cell phones—much has been written about their detrimental effects on attention spans, stress levels and dinner table conversations. People are in constant contact with their cell phones at all hours of the day. New research from the University of Toronto (U of T) suggests they could also be a source of toxic chemicals, or at least an indicator of the chemicals to which people are exposed. As such, handheld devices like cell phones may be sources of some of these compounds, but also may serve as time-integrated samplers, providing an indication of chemical exposure across the different environments where people spend time each day—for example, their homes, cars and workplaces. Diamond says that given the ubiquity of these devices that are in so many people's hands all the time, from kids to adults, "periodically wiping down your cell phone should lower the levels of these toxic chemicals on the device and hence on your hands. She also adds that "we need to be aware of—and try to reduce—how much we use our handheld devices, especially by kids." 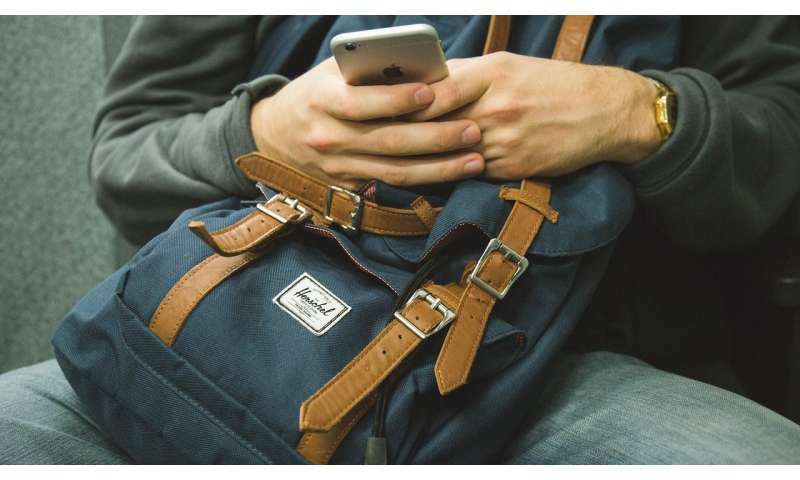 Handheld electronic devices, notably cell phones, may either be sources or indicators of OPE exposure through hand-to-mouth and/or dermal uptake."